This is a small acrylic painting (8 by 10 inches) for my friend Gloria. We enjoy talking and sharing our lives and have been friends for many years. 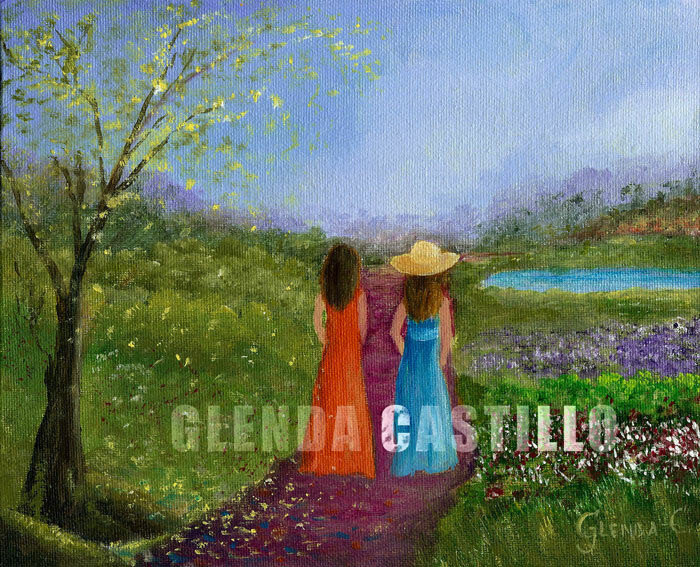 The painting represents our friendship, the road together, enjoying the good times and enduring the hardships with God’s help.